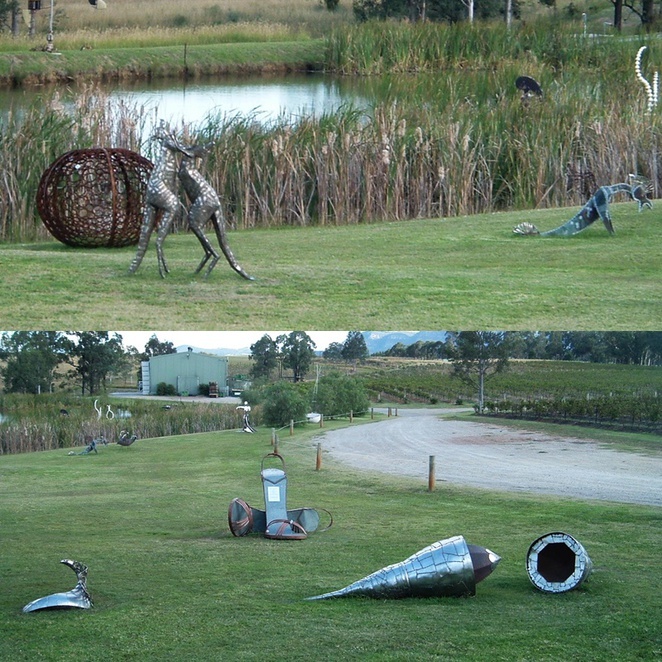 Mistletoe is a family owned vineyard and winery in the picturesque Hunter Valley with a focus on Semillon, Chardonnay and Shiraz but not only are the wines good it is also inviting for its art on display. As you proceed down the driveway, you view the beautiful sandstone building that is the cellar door and the Pokolbin Art Gallery. Wooden timbered doors, large windows and an immaculate interior are upon you as you step inside to friendly smiling faces ready to share tastings of wines. Over 20 wines are made onsite, including reds, whites, sparkling, desserts and fortified styles. Merlot, Cabernet, White Muscat and Verdelho are just some of what they make in this winery that has been rated 5 star in the 2007 to 2017 editions of James Halliday's 'Australian Wine Companion'. 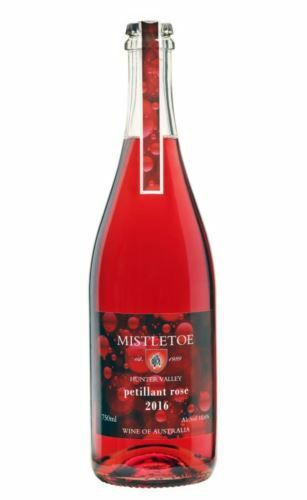 I particularly like their Petillant, a sparkling Rose, which tastes like strawberries and is nice and light on a summer's day. It's perfect for a festive occasion. You can view their full list of wines with prices here. After your palate and wallet have explored the wines on hand, wander around the indoor art gallery with its bright and colourful paintings, hand-blown glass pieces, pottery and sculpted art. All are for sale. Outdoors is just as interesting with a sculpture garden of unusual pieces adorning the lawns. There's a mermaid, a giant pair of shoes and a couple of kangaroos fighting, amongst pieces I can't put words to. The above all makes for a very special place to visit. It's one of my favourites and a standout from over 150 wineries in the Hunter region. Located in the scenic Hermitage Road area with views of the Brokenback Range, Mistletoe Winery is open daily from 10am-6pm, except for some public holidays. Christmas Day and Boxing Day they are closed whilst Good Friday and Anzac Day they open from 1pm-6pm.